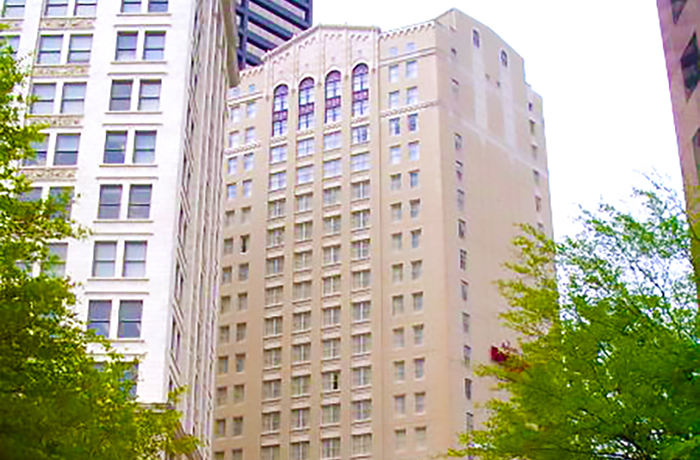 The twenty-one story Downtown Atlanta Marriott Residence Inn Building is a National Historic Landmark and was originally constructed as an office building. For a quarter of a century after it’s construction in 1929, it was the tallest building in Atlanta. HPZS was retained to inspect the exterior enclosure systems of the building and develop a plan for the roof and façade systems to resolve existing water penetration issues, restore the original construction masonry which includes a free-standing terra cotta wall system, and prepare construction documents and specifications as well as provide construction observation and review of repairs.